200 dollars tout de même. 200 dollars … 4 fois le chimaera, , sa fais très cher si c'est pas un fake…. Ça n'est pas un fake car ça a été annoncé par l'éditeur pendant le GenCon et c'était un serpent de mer: quand vont-ils sortir un "épique" à Armada ??" Le prix n'est pas très choquant vu la taille, le bon pré-peint de FFG et le fait qu'il n'y en aura certainement qu'un seul dans cet gamme (contre 5 à X-Wing). Comme les titans à W40k, le futur TB-TT à Star Wars Légion où les vaisseaux Epic à X-Wing, très belle pièce de collection mais figurine injouable. Je suis fan mais je ferai l'impasse. Sérieux quand j'ai vu l'annonce je me suis dit " un jour tu sera mien" mais clairement c'est pour allez dans la vitrine. Il n'y a plus de mais. Ça peut être très intéressant en soi et donner lieu à de supers batailles! Plus proches de celles des films. Dommage que je n'ai que très peu de joueurs potentiels par chez moi. Oui chaque règle a son importance en effet (il est lourd mais je l'aime tel quel il faut avouer). Peut être des règles de vol en formation o chaque figurine fait le même déplacement, tant pour les vaisseaux que pour les escadrons, peut être ça y gagnerait en vitesse de jeu. Outside of the mighty Death Star, there are few symbols of Imperial might and oppressive power more iconic than the Super Star Destroyer. 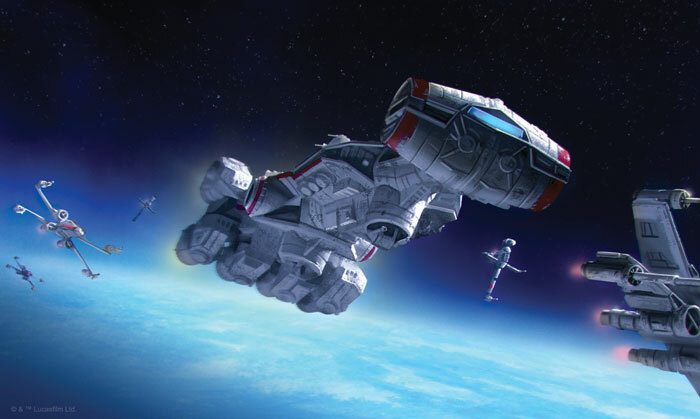 One of these mighty ships served as Darth Vader’s flagship during the Battle of Endor, terrifying enemy pilots and demanding the attention of the entire Rebel fleet before it was eventually brought down. Soon, you’ll be able to muster this symbol of the Galactic Empire as part of your own fleets in Star Wars™: Armada with the Super Star Destroyer Expansion Pack. Join us today for a closer look at the different ways you can field the Super Star Destroyer and the impact that it can have on your battles! 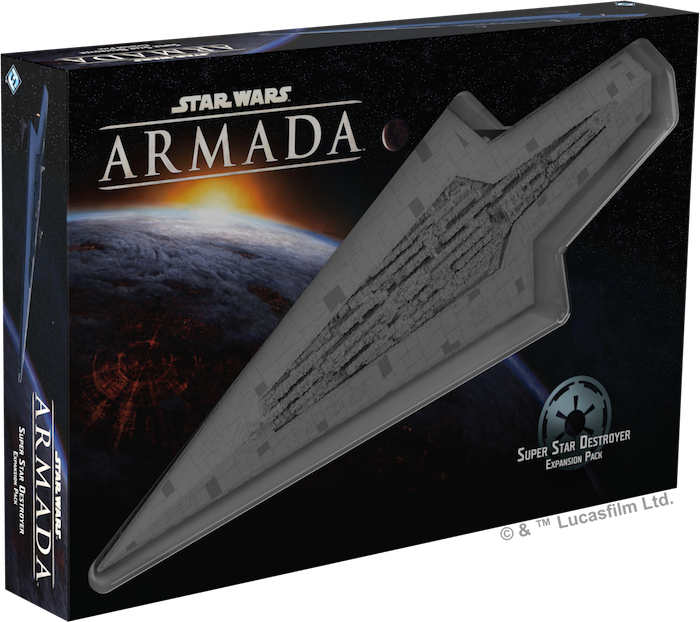 No matter where your Imperial fleet is deployed or what your mission may be, the Super Star Destroyer is certain to be the centerpiece of your armada. Measuring over two feet from tip to tip, the Super Star Destroyer is the largest miniature ever produced by Fantasy Flight Games, but this capital ship’s commanding presence isn’t purely based on its size. It has the firepower and strength to back up its size. In our announcement article, we explored many of the new rules associated with the Super Star Destroyer and its brand-new class of ships: huge ships. 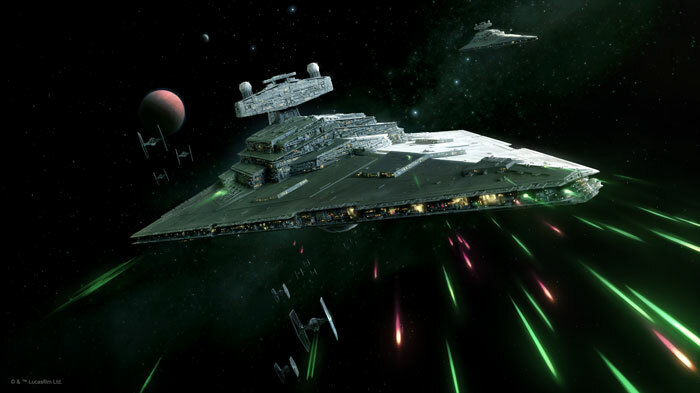 The Super Star Destroyer boasts six devastating firing arcs, and with the ability to make three attacks every round, any Rebel fleet can be pummeled into submission. And what’s more, every time you resolve one of the command dials assigned to the Super Star Destroyer, you’ll also take a matching command token, giving this symbol of Imperial might even greater flexibility in battle. The Super Star Destroyer is an impressive and dangerous starship no matter how you choose to field it, but any Imperial commander has options to explore within the Super Star Destroyer Expansion Pack. 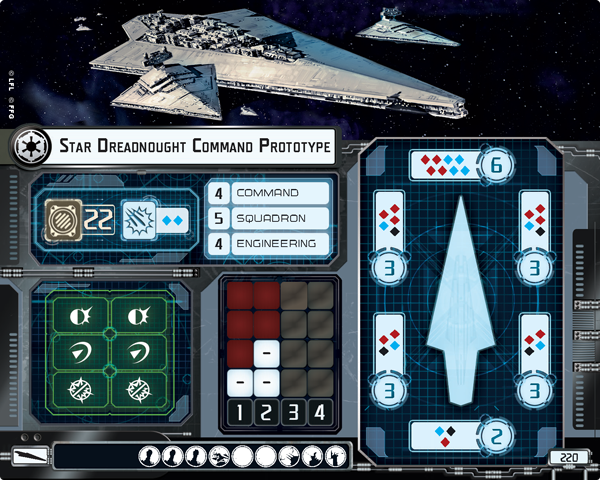 There are four distinct variants of the Super Star Destroyer, two of which can even be played in a standard tournament game. 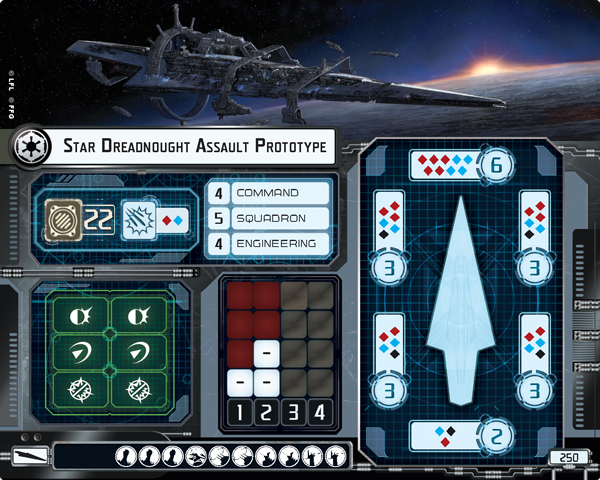 The Star Dreadnought Command Prototype and the Star Dreadnought Assault Prototype clock in at 220 and 250 points, respectively—commanding over half of your available points before you’ve even assigned upgrades. 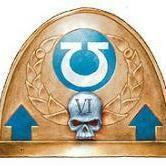 Still, the firepower they command could be more than worth it. Each of these ships concentrates its shields in the foremost section of the hull, boasting six shields in their forward firing arc. Still, even once those shields are diminished, your opponent has to blast through 22 hull in order to finally destroy one of these star dreadnought prototypes. 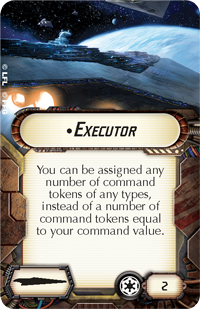 You may favor the Command Prototype, which allows you to take two fleet command upgrades for added control over the rest of your fleet. 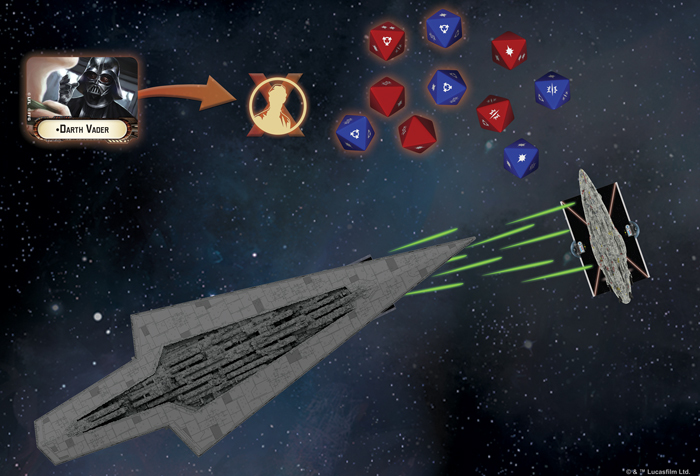 Or, you may go straight for the heart of the enemy fleet with the Assault Prototype, which throws an impressive nine dice from its forward firing arc and six dice from its left and right arcs. 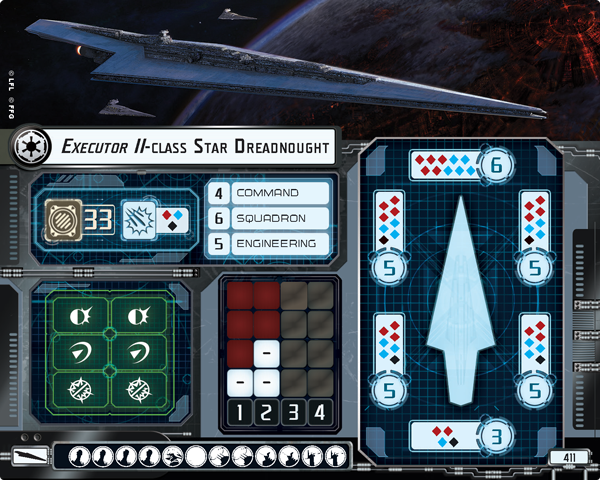 As powerful as the star dreadnought prototypes are, they pale in comparison to the Executor I-class Star Dreadnought and the Executor II-class Star Dreadnought. These ships have point costs of 381 and 411 points, pushing them both outside of what you could field in a standard game once you’ve purchased your commander. But if you expand your games to encompass a higher number of points, you’ll get to see the Super Star Destroyer in all its terrifying glory. As an Executor-class star dreadnought, both of these versions of the ships feature enhanced shields, boosting the defenses on their flanks. Their hull strength has also been increased to 33—a stunning amount of damage for any enemy fleet to deal. Each variant of the Executor-class star dreadnought also has room for twelve upgrades, allowing you to kit out your Super Star Destroyer with the best that the Empire has to offer! 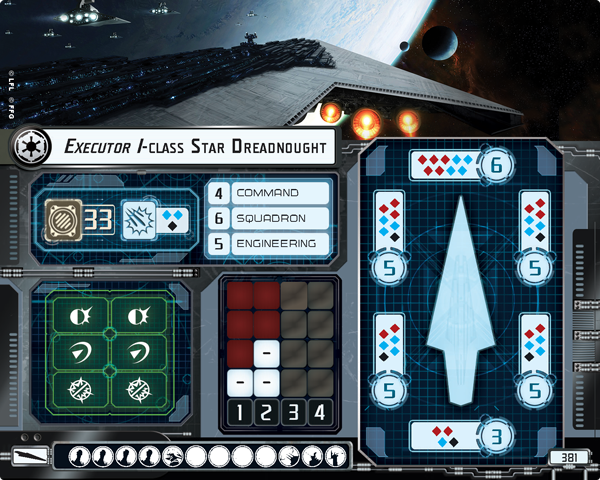 An Executor II-class Star Dreadnought fires an awe-inspiring ten dice from its forward firing arc and eight dice from its left and right firing arcs, but with the upgrades included in the Super Star Destroyer Expansion Pack, you can customize your Super Star Destroyer to become even more intimidating. Two brand-new commanders arrive to lead your fleet in the Super Star Destroyer Commander Expansion— Admiral Piett and Emperor Palpatine himself. 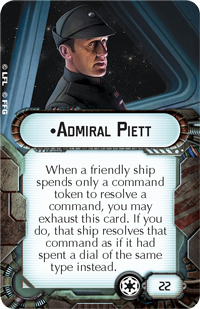 Whether you’re using Admiral Piett to boost the power of all your command tokens, or you’re cutting through your opponent’s defenses with Emperor Palpatine, either of these commanders can prove to be a formidable opponent for the Rebel Alliance. But these aren’t the only upgrade cards included in this expansion pack. 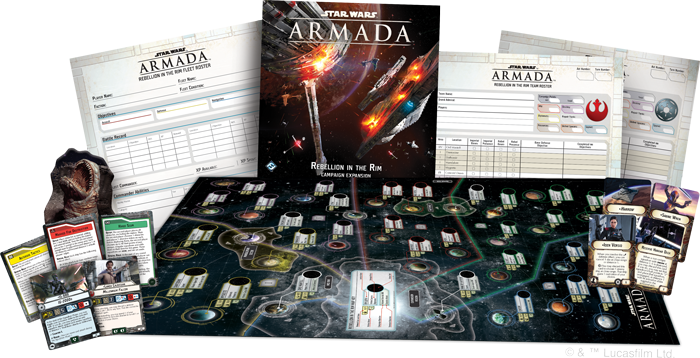 24 upgrade cards are available for you to harness, and twelve of them are entering Star Wars: Armada for the first time, including new officer upgrade cards for Emperor Palpatine and Darth Vader. 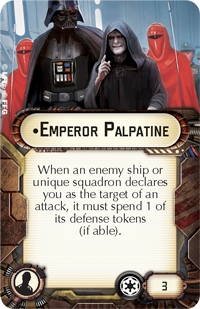 Much in the same way that Emperor Palpatine destroys your opponent’s defense tokens as a commander, you can use him as an officer on your ship to create weakness. 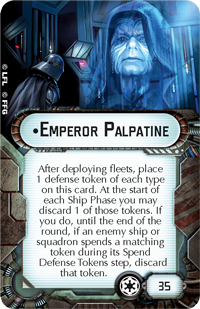 Whenever an enemy ship or unique squadron has the audacity to attack a ship with Emperor Palpatine aboard, it must spend one of its defense tokens, leaving it exposed for your crushing counterattack! Alternatively, you could motivate your own troops to greater efforts by bringing Darth Vader onto your ship as an officer. 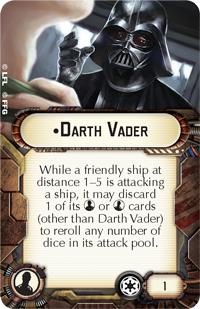 When a nearby friendly ship is attacking, Darth Vader lets you discard one of the ship’s commander or officer upgrade cards to reroll any number of dice in its attack pool! This upgrade fits naturally with Darth Vader’s own Executor II-class Star Dreadnought, which has ten dice that you can reroll in its forward firing arc—plus four slots for officer upgrade cards that you can sacrifice, potentially rerolling all of your attack dice multiple times over the course of the game. Using Darth Vader, you can lose one of your officer upgrade cards to reroll all dice showing a less-than-favorable result! 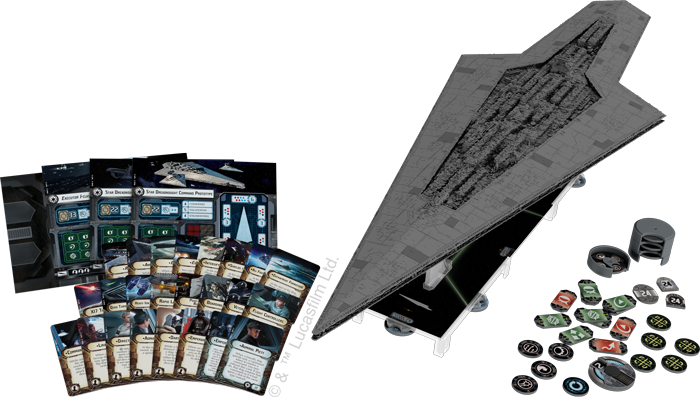 Aside from its gallery of iconic Imperial villains, the Super Star Destroyer Expansion Pack also comes with four title upgrade cards, allowing you to declare your Super Star Destroyer to be one of these deadly ships from the Imperial Navy. 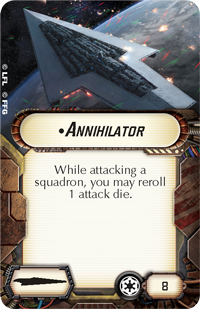 You may use the Annihilator to wipe up enemy squadrons and prevent them from harrying your forces. 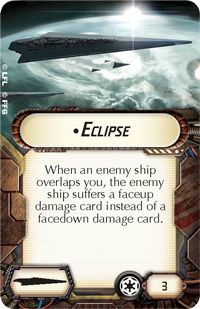 Or, you may use Eclipse to ensure that any enemy ship that overlaps you will suffer the consequences by taking a faceup damage card! You might even christen your Super Star Destroyer as Darth Vader’s Executor, allowing this mighty star dreadnought to take any number of command tokens of any type—no longer fettered by your command value. No matter what the title of your Super Star Destroyer might be, you’ll soon be able to crush the Rebellion, once and for all. The might of the Imperial Navy has never been so clearly displayed as with the awesome power of the Super Star Destroyer. How will you add this symbol of interstellar might to your own fleets? A priori ne comptez plus sur la VF pour le jeu, il a été dit qu'il n'y aurait même pas de réédition des vaisseaux déjà traduits. Tout cela pour dire que FFG vient d'annoncer une nouvelle campagne (sur le modèle de Kessel avec ses avantages et inconvénients) et qu'on ne sait donc pas si cela sera traduit (a priori non). De toute façon le matériel de Kessel m'avait grandement déçu (carte en papier glacé pliée en 36, stickers à coller dessus, etc.) donc je passerai certainement mon tour VF ou pas. Ce qu'il y a de très sympa dans ces campagnes (à mes yeux en tout cas, ce qui me fait le plus envie, mais il y a certainement plein d'autres intérêts), ce sont les nouvelles cartes d'escadron et de vaisseaux spécifiques proposées, ainsi que les As. Mais à part cela je rejoins assez ce que dit François sur la qualité du matériel qui m'a dissuadé de prendre The corellian conflict. Mais bon peut être auront il amélioré leur produit. Mince c'est pas Kessel en effet mais le secteur Corellien ! Par contre oui, clairement, les nouvelles cartes devraient être intéressantes mais il me semble que dans la boite précédente elles étaient presque un peu bourrines. Et puis seront-elles traduites surtout ? AND ... 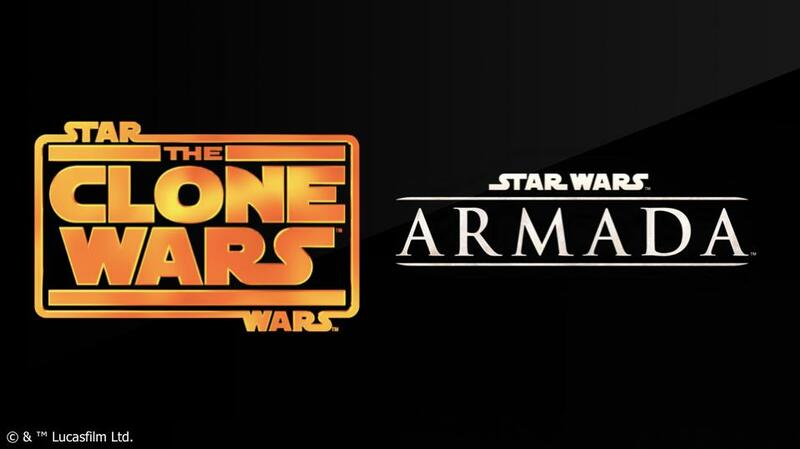 The Clone Wars will be coming to Armada in 2020! Excellente nouvelle ! C'est exactement ce qu'il fallait pour relancer le jeu : la Guerre des Clones est une excellente source de nouvelles unités pour le jeu. Heureusement que j'ai arrêté la figurine chez FFG sinon mon compte en banque ne s'en serait pas remis ! En plus on peut éventuellement intégrer des vaisseaux de la guerre des clones dans une flotte impériale (venator par exemple) ou rebelle (avec plus de latitude il me semble), ou même faire une faction Pirate à part, tout en restant plutôt fluff. Ça ça peut être vraiment très cool. Mais va falloir que je fasse des économies. Entre les vaisseaux des Séparatistes et de la République ça va me coûter une Blinde cette histoire. Je pense que la guerre des clone sera plus équilibrée en terme de puissance de feu des Vaisseaux. Mais si ça matche bien je pense me remettre à armada. Par contre FFG Fr vient d'annoncer que ce ne sera pas traduit normalement (contrairement à "Legion - The Clone Wars" qui finalement devrait l'être). Attention, il y a un temps ce n'était que la boite de base Clone Wars pour Legion qui devait être traduite. Une petite tentative de relance ça fait toujours plaisir. Mais visiblement, Armada est trop dans les limbes pour qu'ils tentent le coup (du moins en l'état actuel des choses). Heureusement il y a une communauté fr certes petite mais plutôt motivé, cela devrait aider. Mais faut pas rêver : sans VF cela ne fera que continuer à vivoter. C'est dommage parce que le jeu est bon, comme d'habitude le soucis est ailleurs.